AlphaSphere elite comes with a MIDI-out port for connectivity to any MIDI hardware. Assign it to transmit the MIDI messages of your choice using the AlphaLive software. A selection of 2 x dials and 3 x buttons are standard on the elite series. Freely assignable, they are perfect for controlling AlphaLive or for sending MIDI CC or OSC messages. 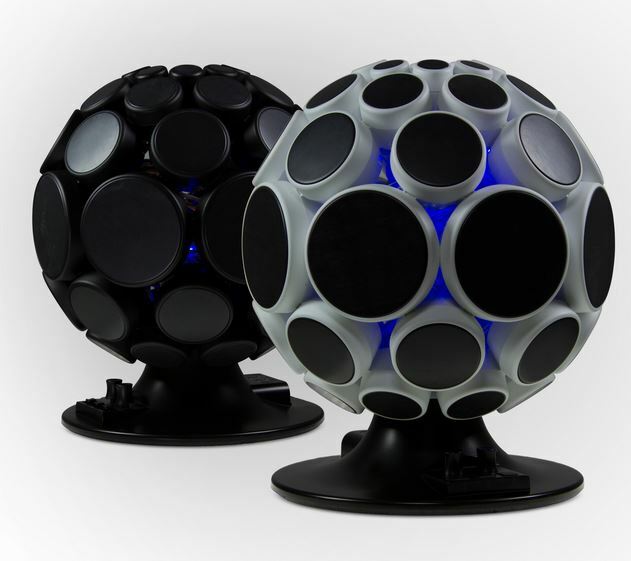 The AlphaSphere elite is available in both black and white versions. A soft touch finish, gives the elite series the look and feel of a spaceship dashboard. Emphasising the simplicity of the modular design and precision engineering. *8 smallest pads are pressure sensitive only. Open-source under the GNU General Public Licence v2. MIDI Dynamic Channel Mode – allows individual MIDI channels to be dynamically applied to each pressed MIDI pad, allowing for polyphonic pitch-bend as well as completely polyphonic modulation of notes within software that doesn’t support poly aftertouch.